The Charities Regulatory Authority is being established by ministerial order today. 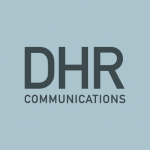 Here, DHR’s Executive Director, Martina Quinn, summarises its role and how it came about. Those of us who work directly in or with the charities sector have long been conscious of the need for better regulatory measures and increased transparency. Never was this more apparent than when details emerged in late 2013 of the over-inflated pay packages being received by certain charity bosses. The sense of outrage and betrayal that followed these revelations demonstrated just how important it is for the public to know they can trust the charities to which they donate. 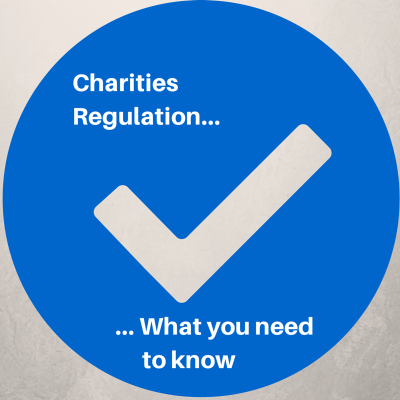 Legislation to regulate the charities sector has been in place since 2009, when the Charities Act was enacted. However, there has been a five-year delay in putting into effect many of the key measures provided for in this Act. It was only in January of this year – hot on the heels of a number of the charity-related pay scandals – that the then Minister for Justice, Alan Shatter TD, announced the commencement of the key measures in the Act, most significantly the appointment of an interim CEO and Board members for the new Charities Regulatory Authority. The interim Chief Executive of the Charities Regulatory Authority (CRA), Úna Ní Dhubhghaill, a serving senior civil servant, was appointed on 1st March. The Board of the Authority – headed by Conor Woods, an accountant and senior statutory auditor – was appointed in April. And, today, seven years after the Charities Bill was published and five years after it was enacted into law, the CRA finally becomes operational. To increase public trust and confidence in the management and administration of charities. To promote compliance by charity trustees with their duties in the control and management of charities. To ensure the accountability of charities to their donors and beneficiaries, and to the public. To establish and maintain a register of charitable organisations. To ensure and monitor compliance by charities with the Act, and carry out investigations in accordance with the Act. To encourage and facilitate the better administration and management of charities by providing information or advice, including by way of issuing guidelines, codes of conduct, and model constitutional documents. To publish information (including statistical information) about charities that it considers appropriate, and to provide information and advice to the Minister for Justice on matters relating to its functions. The Authority will operate independently, and will also take on the functions of the Commissioners of Charitable Donations and Bequests for Ireland. From today, any organisation with charitable tax exemptions from the Revenue Commissioners (i.e. with a CHY number) will automatically be included on the register of charities maintained by the CRA. Each organisation will also be given an Irish Registered Charity number. All other charitable organisations operating in the State will be required to register within six months. Only charities registered with the CRA will be able to fundraise. It will become a criminal offence to carry on business as a charity, or to claim to be a charity, without being registered. All charities will be required to keep submit annual accounts and activity reports to the Authority. All charities will be obliged to inform the CRA of the identities of their trustees. For companies limited by guarantee, this refers to their Directors; for charities governed by management committees or groups, the members of the committees or groups will be deemed trustees. All charities will be required to state that they are registered with the CRA on their public literature. From a public communications perspective, the establishment of the CRA provides an opportunity for charities to demonstrate the high standards they employ and – in doing so – to potentially attract new supporters. The sector is likely to become more competitive than ever, as members of the public will now be able to access activity reports and statistics about charities through the Authority. Thus, they will be able to see how their donations are being spent, and to compare how charities match up in this regard. Smaller charities – particularly grassroots community and voluntary groups – will have to become more professional and ensure they not only register with the CRA, but also comply with the various measures included in the Charities Act. Robust regulation for the charities sector is long overdue and, undoubtedly, the establishment of the CRA is welcome. The challenge for charities now will be to make sure they keep pace; otherwise, they risk becoming obsolete.